I'm wearing ViRTuaL ATTIRE's freebie for the ladies. The shop also has a men's section with at least one free outfit. Black is one of my favourite colors so I like this black jumper and miniskirt. I'm wearing a black top under the jumper as the front is very low. I completed the outfit with ankle boots from Deviant Designs. The boots have cute spikes on the back. The skin is another one from CMC 's generous welcome gifts for new residents. The brows are a bit low but you can edit a bald head to get them how you see fit. play with the sliders and see the effect. On this moment there is a bug that makes it hard to save edits. Best you can do is go to one of Inworldz sandboxes , edit and save by logging out and back in to the sandbox again. The heavy eye make-up is on the skin but I gave her a peach lipstick I picked up @ Adorable Skiins from Summer Rose. Enlarge the picture to see the nice eye and nose piercing (tattoo layer) also from Adorable Skins. The hair is the current gift from A&A (Alli & Ali). I have the lovely liquid eyes in several colors but I almost forgot these blue ones are for free. Copy the (modifiable) hair and rezz the copy you made on the floor. Select the hair by right click and open it's contents. Drag a colour change menu script into the contents. Wear the hair and click it. A menu will pop up to select a colour. Try out different colors, you'll be amazed of the effects that are possibe. Go wild and make it green or pink. Ofcourse this will only work on a light colored hair. Make sure you rename the hair. 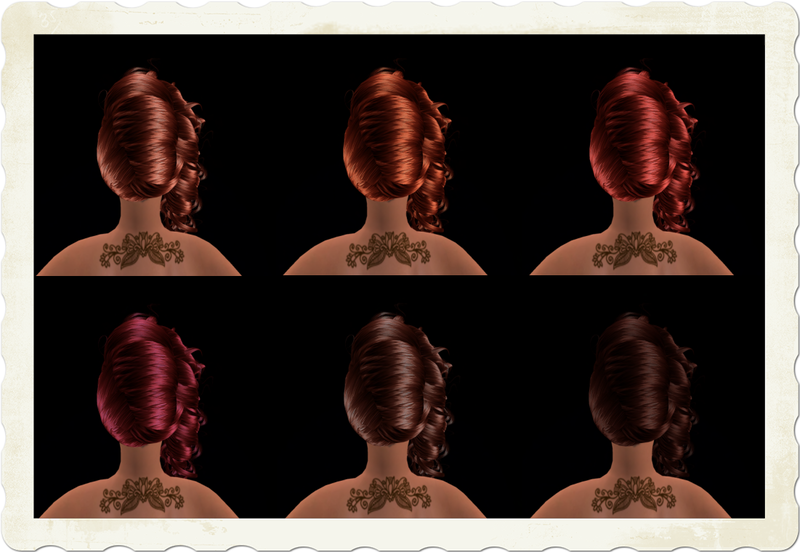 Works for prim and mesh hair (unless the mesh hair already has a colorchange menu). The only thing different is I couldn't make the menu work for rigged mesh hair while wearing it. A free colour change script is available at The Free Script Library .